Liverpool, it’s that time of year again! 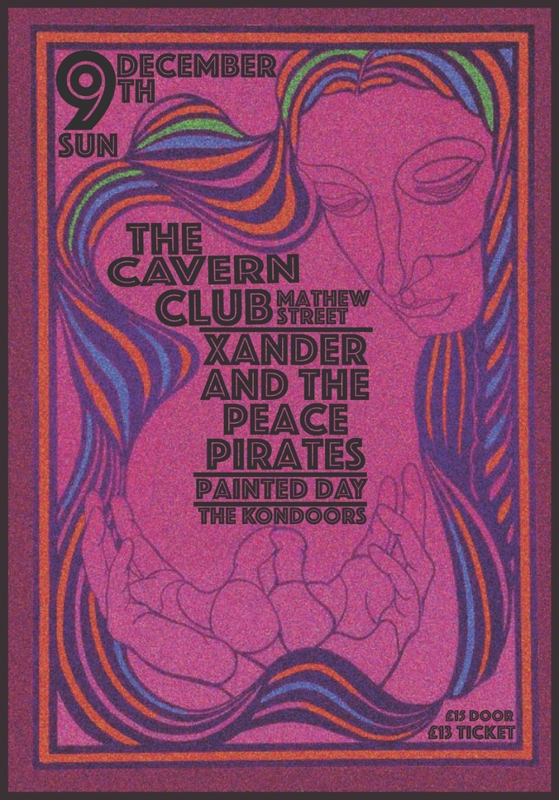 The 9thDecember sees local favourities Xander and the Peace Pirates return to their spirtal home for their annual Chrsitmas party show, performing songs from their brand new album, ‘Order Out Of Chaos, for the first time at The Cavern Club’s Live Rooms. Brothers Keith and Stu Xander were discovered on YouTube by Gibson Brands CEO Henry Juszkiewicz and during their subsequent performances for the company at numerous international events from LA to Dubai the band caught the attention of not just an ever-growing collective of fans but also industry legends such as Eddie Kramer (Jimi Hendrix, Led Zeppelin, Kiss, Rolling Stones) and Rick Allen (Def Leppard). Defying all expectations, lead singer and guitarist Keith Xander was born without a right arm below the elbow and plays guitar using a prosthesis and hook with a pick attached at the end. Although many who have seen Keith play believe him to be an extraordinary guitarist despite of his perceived ‘disability’ he is a virtuoso musician in his own right and his playing rivals the best in the industry. In 2014 the band ended their 5-year tenure as the resident band at Liverpool’s iconic Cavern Club pub and went on to support the likes of Joe Bonamassa, Joe Satriani, Manfred Mann’s Earth Band, The Temperance Movement, ex-Whitesnake’s Bernie Marsden and even Bon Jovi to name a few. 2016 saw the band release their debut album, titled ‘11:11’, on V2 Benelux Records, recorded at the world-famous Wisseloord studios in Hilversum, outside of Amsterdam. The album went on to receive critical acclaim from the likes of Classic Rock, Planet Rock Radio and from BBC Radio’s Bob Harris. With haunting riffs, genius melodies and a uniquely infectious charisma, Xander and the Peace Pirates continue to share their musical passion to standing ovations, while spreading a universal message of peace, love and harmony.